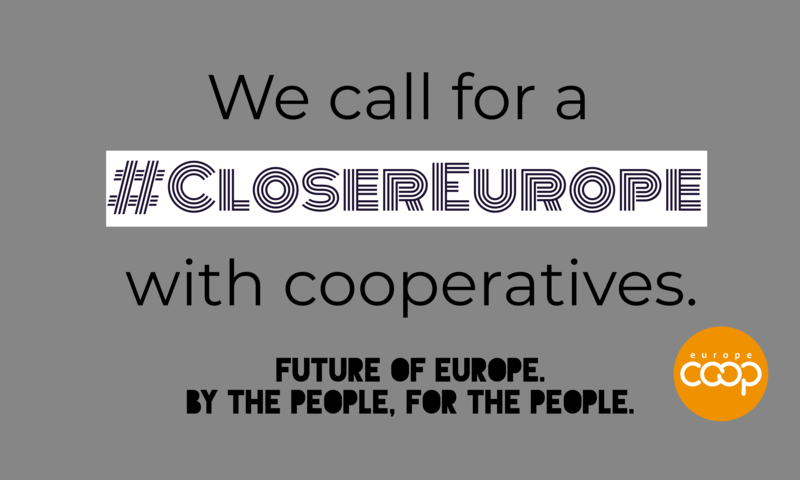 On 11th of December, Cooperatives Europe released a Cooperative Call to Action on the Future of Europe to unlock the potential for a wider cooperative economy across Europe. A reflection on Juncker’s speech and the work of the European institutions on the White Paper on the Future of Europe, the paper develops a strong and coherent cooperative response, released in time for the meeting of the European Council on 14th and 15th of December, which will set the blue-print for the European economy for the next 10 years. With this paper, Cooperatives Europe wants to reinforce the existing strengths and legitimacy of cooperative enterprises as key actors of Social Economy and further promote the ability of cooperatives to offer adequate solutions to the challenges Europe is currently facing. Thus, we call the European Union to not only recognize the strength of the European cooperative movement, but ensure adequate political recognition to allow cooperatives to fully contribute to a sustainable Future of Europe. The cooperative Call to Action proposes 7 key areas for development in Europe, including ensuring a level playing field for all forms of enterprises, access to finance, action to advance Energy Transition, financing for sustainable food and farming, development of an inclusive industrial policy, a Framework for Self-Employed and Freelancer Cooperatives and Global Development Cooperation. On this basis, the European cooperative movement is requesting a meeting with the European Commission and its President Jean-Claude Juncker to discuss the Call to Action and the benefits of a Cooperative Economy as a bridge between European citizens and the Single Market. The Call to Action has been backed by members and partners across the cooperative sector and Social Economy, with a Thunderclap social media campaign #CloserEurope with #coops reaching 750,000 people in the first hours.